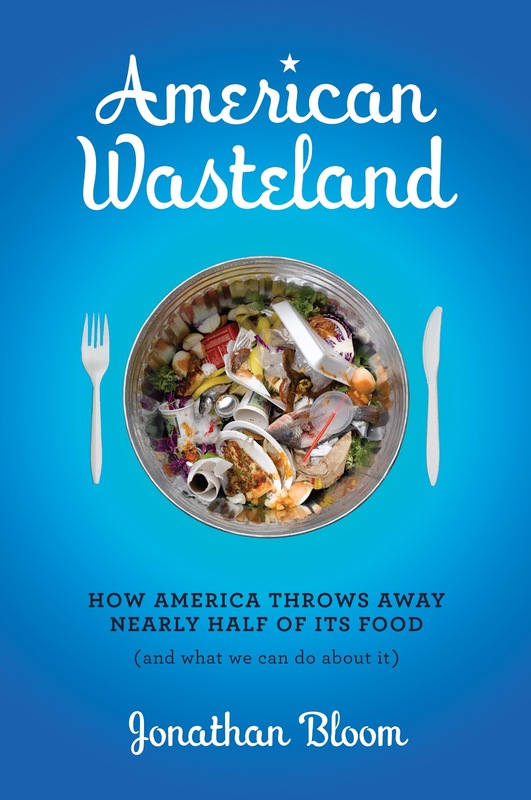 American Wasteland: How America Throws Away Nearly Half of Its Food (and What We Can Do About It). I couldn’t help being intrigued by this shocking yet hopeful title as I perused my college library for food waste literature. It was just going to be one of two books that I used to write a paper for my Ethics of Food class, but, after reading just a few pages of Jonathan Bloom’s book, I knew I had to get a copy of my own. In just over 300 pages, Bloom delves into the multifaceted monster that is food waste, from the cultural and sanitary standards that have influenced our society’s waste to food recovery efforts. Although I have come to refer to this book as ‘my Bible’ and think it should be required reading to educate people about the consequences of rampant waste, I have to issue a word of caution: it is brutal. Bloom bombards the reader with figures quantifying the severity of our waste as well as depressing anecdotes from his time working undercover in a grocery store. You know those rotisserie chickens you see in the prepared-food areas? Well, meat shouldn’t be unrefrigerated for more than a couple hours, right? Cue grocery workers coming by every few hours to throw away unsold chickens and put in new ones. I’m no vegetarian, but I still value animal life enough to find it horrific that these birds died for naught. That is just one of many tangents that this book inspires me to go on (some of which may become future blog posts here). However, this book is not a giant, opinion-pages-style complaint about America’s relationship with food. Throughout the book, especially in the closing chapter “If I Were the King of the Forest,” Bloom discusses what is being done to combat food waste and suggests further steps that could be taken. For instance, Reed College has a tradition that allows students (‘Scroungers’) to decline proper dining plans and instead eat other students’ leftovers in the dining halls. And, of course, there is a growing number of volunteer groups redistributing would-be discards to the hungry. These kinds of efforts and acknowledgements of waste are small beacons of hope amidst dismaying statistics, such as that the average American throws half a pound of food away every day. Bloom fueled my anti-food waste fire by exposing aspects and details of food squandering that I had never even considered. This book explains the causes and economic, environmental, and ethical consequences of discarding food while making sure to highlight what can be done about it. Furthermore, Bloom doesn’t just lay facts bare but brings a journalistic readability to the non-fiction with snarky sarcasm and illustrative anecdotes. In short, American Wasteland is clever, eye-opening, and definitely a worthwhile read.